I therefore, a prisoner for the Lord, urge you to walk in a manner worthy of the calling to which you have been called . . . In Ephesians 1 to 3, the Apostle Paul described the spiritual reality of every believer in Christ. Beginning in chapter 4, he shifts his focus to emphasize the practical outworking of this new identity. Paul’s exhortation is clear. What we believe determines how we behave. How we see ourselves directly impacts how we will act. And because we are now in Christ we can walk in a manner worthy of his calling. On one side, this is a challenge to daily embrace the Holy Spirit’s ongoing work of sanctification. We are called to walk in the light. The more we walk in the truth of the gospel, the less we will tolerate darkness to linger in our soul. But Paul goes beyond our inward life. He connects acting in a manner befitting Jesus’ name to our calling to walk in unity with other believers. 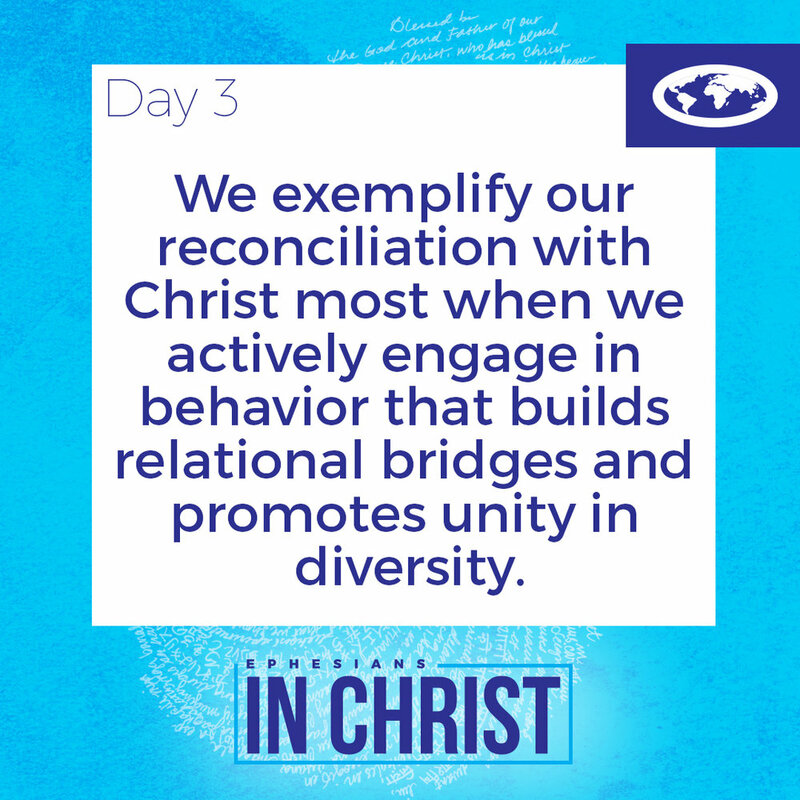 We exemplify our reconciliation with Christ most when we actively engage in behavior that builds relational bridges and promotes unity in diversity. Jesus is our best standard and example for this, but we must always remember that he is also our means. The list of relational virtues Paul gives—humility, gentleness, patience, and love—reflect the outward fruit of a life rooted in Christ’s amazing grace. We cannot live out any aspect of our calling apart from him. That according to the riches of his glory he may grant you to be strengthened with power through his Spirit in your inner being. Heavenly Father, I recognize my absolute dependence on you. In and of myself, I am weak. My heart and my flesh will fail me, but you are my strength and my portion. Strengthen my inner being with power through your Holy Spirit. Enable me to confront the trials before me with boldness, courage, and faith that your Spirit in me is greater than any hindrance or opposition I will face in the world. I declare that I am more than a conqueror through Christ who strengthens me. Amen!